Welcome to Kona Grill Irvine, located at the Irvine Spectrum Center. Enjoy your local paradise after work or a day of shopping. Fresh, wild caught fish is flown in daily to craft award-winning sushi, while contemporary American entrees are prepared from scratch in-house. Stop by for happy hour on our beautiful shaded patio to taste our handcrafted cocktails infused with freshly squeezed juices. 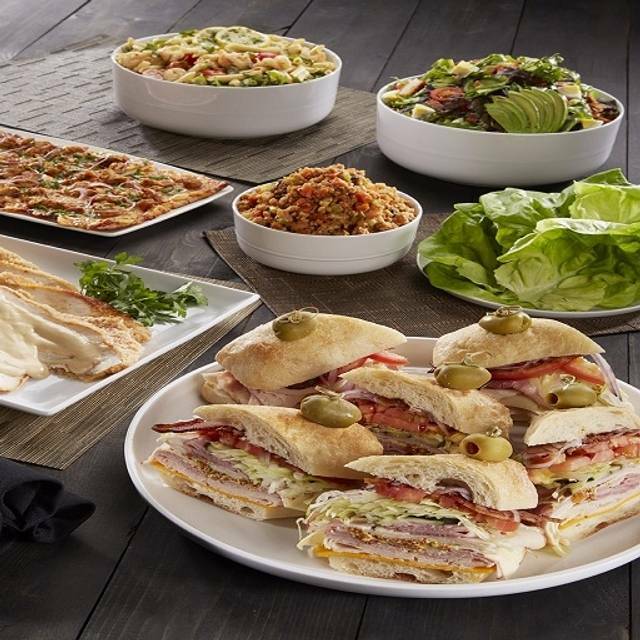 Enjoy a diverse menu featuring a wide variety of contemporary American dishes, as well as unique entrées and appetizers with a global flare. The restaurant’s contemporary ambience and its new patio provide the perfect venue for special occasions like bridal showers, baby showers, birthday celebrations, business meetings, date night, or just any occasion really. Terrible do not eat there...ambience was nice but food was terrible even though the menu was varied and interesting but actual food terrible. Nice place. Very accommodating. Lots of choices so there is something for everyone. Staff was attentive and accommodating, Seated us right away and service was quick..food was tasty. The only thing is I would add o whiskey list. Great experience. great place to go to meet friends for lunch... friendly service and food was quite good! It’s alright. I would go back and try the sushi. Amazing food I love Kina grill been to 3 locations, Vegas , Irvine ca & Dallas Texas. Dinner was too expensive for the portion that was served. Waited over 40 minutes for our food and the server never came by during that time. One person in our party had to send food back because it wasn’t hot. Heard happy hour was good from co workers, won’t ever go back for dinner. Such a let down for a Mother’s Day celebration with 3 generations. It was a fantastic dinner! I have nothing but wonderful things to say. Great food, beverages and service. We will be back again! Waste of my time to explain how terrible this experience was. Had reservation they could not find. Thank goodness I had print out. Requested outside and they stuck us at the far corner by employee exit which was loud! Server did not know we were there and we had to hunt them down. Great place to visit with friends. Location is about 1/2 way from Los Angeles to San Diego so friends from each of these places can get together by driving the same distance. Also, the Spectrum Center is a good place to walk around after eating a meal. 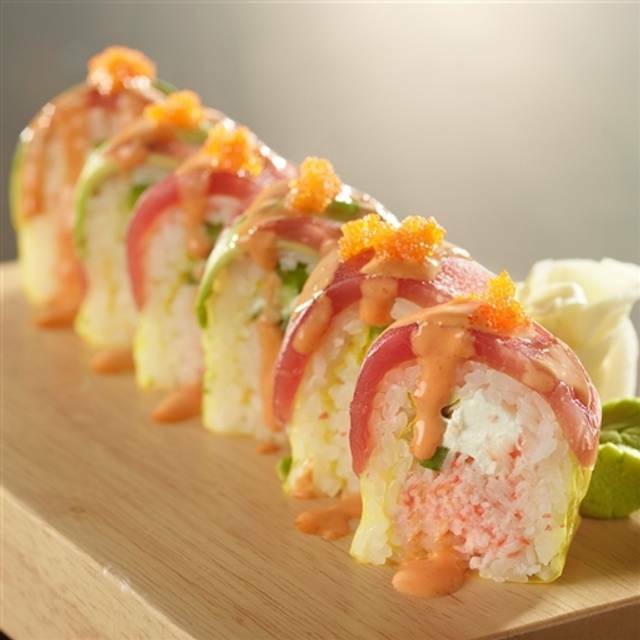 The Kona Grill menu has many tasty choices beyond the usual American cuisine. Very fun menu that was diverse. Great tasting food but the service is what made the evening!!! Absolutely perfect service very receptive and friendly! Fun night, and the food was great. Try the Gouda fondu...amazing! I also had the flat iron steak with Chimichurri sauce, which was unreal. Really disappointed in this restaurant, from the poor service to the quality of the food! Won't go back or recommend! a bit overwhelmed. It was not busy when we first arrived (6pm), got bust by the time we left (8pm). I don't know if he was new?? Mahi small portion and overcooked, asparagus tough, white rice not very nice for such an expensive dinner. Terrible service - took a hour to get food then it came prepared wrong ! It was my first time dining at this restaurant. I love the grilled shrimp salad with its special dressing. For the food I got I might have given it 5 stars, but the lunch box my friends ordered seemed not quite good as mine. That's why I gave it 4 stars. Went on a Sunday afternoon to celebrate 2 family bdays for a party of 15 with reservations. The table was ready for seating upon arrival. Our server, Chasen, was exceptional as she handled our group in a friendly and expeditious manner. We tried several of the starters and they were all delicious. Many of us ordered sushi, sashimi and poke for our meals. Everything was fresh and beautifully plated. The jalapeno and habanero rolls were a favorite. All of the rolls were very good except a few were just a bit bland. I would suggest maybe a few Asian sauces (spicy mayonnaise, hoisin, etc) with the soy sauce to kick it up a bit. Again, all were fresh. The spicy shrimp tempura was ordered as a meal (without the spice) but was made with Bay shrimp instead of the larger shrimp that was expected with shrimp tempura. Chasen cheerfully took back the shrimp tempura and replaced it with a different ordered item and took the shrimp off the bill. The Manager stopped by a few times to check on us and also helped with getting the food out. Our group plans on returning and telling others about Kona Grill. Very enjoyable! Unfortunately I wasn’t able to attend due to illness, but the rest of my party enjoyed their dinner and was very happy with the choice of restaurant. It was the first time for each of them. I have enjoyed the food and service on other visits and will eat there again and continue to recommend. Since I found the place a couple years ago, I've been a number of times. Great food. Usually I like to go on Wednesday evenings. They have a wine down Wednesday deal where bottles of wine are half off and they have a reverse happy hour starting at 8pm, I believe, so drink your wine, order off the Happy Hour menu, sit outside on the patio where it is quieter and they have heat lamps on a timer, so if it goes off, have a server start it up again. I've always had good service, so I like going there. I love the happy hour . The food is delicious! It wasnt so busy during vday but i like how i can make a reservation seat online. That was convinient. Valentine's Specials were less than desirable. Drinks were horrendous. Wife got sick in hers several hours after we left. Got there at 5:30pm, and place was empty. Hostess wanted to seat us next to front door on chilly evening. Opted for a table in lounge. I would think that on Valentine's Day, they would have automatically locate you in a more fitting atmosphere. Salmon was excellent but the sole was very under cooked. Will not be returning again. Everyone was really nice, except for our waitress. It seemed liked we were bothering her or she was just in a bad mood. Having a cheerful and just a nice server would've made our night so much better! I indicated the dinner was for a birthday. Why do you even ask if no birthday dessert is offered? Potatoes were not very good; manager stopped by and inquired. No offer to reduce bill or bring coffee/dessert. Service was slow; it took a long time to place order and get food. Overall not satisfied. I am frequently reserving dinners and lunches for my CEO and will no longer book at Kona Grill. JC and Leslie were amazing. Very attentive and made sure that everything went well with the Dinner. We came for Saturday brunch to celebrate my mom's birthday. The hostess and waitress actually read our reservation request in advance and knew we were there for a special occasion. The service was great - and the waitress even allowed my mom to select a dessert in honor of her birthday (rather than having any random dessert selected by the restaurant). The food was delicious (Wwe had the fish tacos, shrimp/chicken lettuce wraps, sushi rolls, and butter cake). Their weekend Happy Hour is a great deal. We will definitely be coming back! Food was good, price was good, service was just fair if not bad to me. We went without refills of the entire groups drinks. Had to always ask for refills and this wasn’t just a we finished drinking then immediately asked for a refill. At least 15 minutes would go by before we asked to be topped off again. Food and the service was very good . Not a place for meat lovers . We would definitely go there again.